Tourists that visit Istria often make comparisons to Tuscany. Rolling hills littered with vineyards and olive groves, small villages on top of the hills with the ever-present church-bell towers in the main piazza, warm weather, great food, and hospitable people are some of the characteristics that inspired the comparison. Having this in mind is no wonder that the organizers of the mountain bike marathon have decided to call it Terra Magica. One big difference is that Istria is not as crowded during the touristic offseason, from mid-September to early June. It is still relatively undiscovered by cyclists in mainland Europe who still prefer more famous Italian region and better-known Spanish islands. 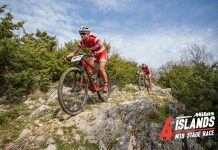 Much closer, and with equally good weather and riding, is Istria or Terra Magica as in the name of the event sponsored by hotel chain Valamar. 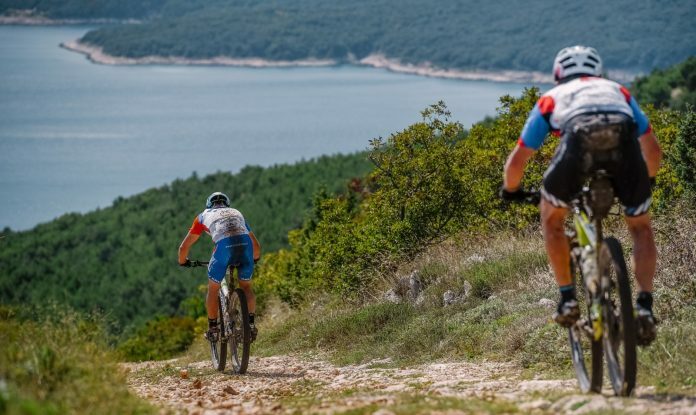 Mountain bike marathon Valamar Terra Magica, to give it its full name, takes place in a less well-known part of Istria. The area around towns of ►Rabac and ►Labin has many times been unfairly overlooked because of the beauty of ►Opatija on one side and ►Pula, ►Rovinj and ►Poreč on the other. But that does not mean that there is nothing to see or do. 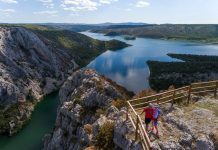 On the contrary, Labin was a coal mining town and has a rebellious, alternative vibe to it; while Rabac, situated just 15 minutes away by car and couple of hundred of meters below by the seaside, is the more mainstream tourist town. The two are a great pairing that offers something for everybody. 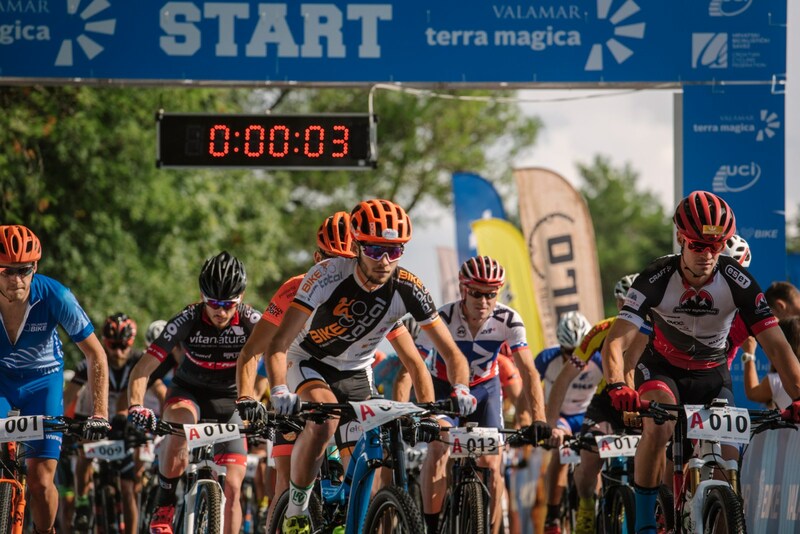 Mountain bikers come to the region in the second half of September for the Valamar Terra Magica marathon race. 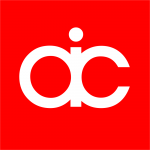 The race is classified as a C3 marathon in the UCI calendar. This means it attracts quality riders from the whole region but also guarantees a high standard from the organizers. The main event is 80 km long and 2000 m of altitude gain race reserved for holders of elite licenses and those looking for a serious challenge. Middle track is 40 km long and includes 1000 m of vertical gain, and the shortest option is 20 km with 650 m of climbing. Middle and long tracks include an attractive part through the old city of Labin and include a short section on the main asphalt road on the exit from the old town. After that, the course is a mix of fire and gravel roads and single track. What all tracks have in common are magnificent views of the bays and the nearby island Cres. Weather in September is usually nice with temperatures between 20 and 30 degrees centigrade, and the sea can be pleasant enough to take a short dip or cool off the legs after the race. Races start and finish in Rabac, and that is the best place to find accommodation. As the race is sponsored by a hotel chain, it is worth looking at packages the organizers put together on their website. Visiting Labin is a must, as it is so near and you must pass through it to get to Rabac. It is worth stopping if only to take a walk around the old town and have an espresso and ice cream on the main square. If you have more time, you can enjoy the local museums and restaurants. Being by the sea the fish is always a good choice, but local pasta dishes and Manestra stew are harder to find but the way to go if you want to taste true Istrian specialty. Matthias Grick from Austria said – It was hard, the rain that fell yesterday did not make the course any easier, but it was fun, very hard but great fun. A real mountain bike race. 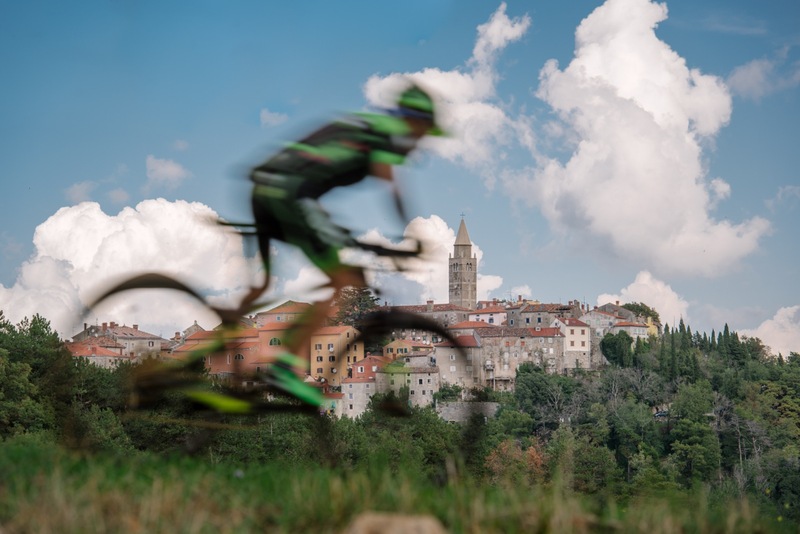 Hosting a race around Rabac and Labin has many advantages. 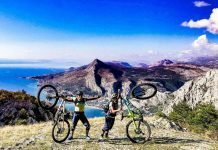 The terrain is perfectly suitable for mountain biking; the accommodation capacities are readily available after the end of the peak tourist season, you can combine riding a mountain bike marathon with a mini vacation. For those wanting to bike more, you can visit the bike park in Rabac, or find a route to suit your preferences on bike Istria website. It is possible to head inland for a more relaxed ride or climb Učka, whose peak lays at more than 1300 meters above sea level. If on the other hand, you feel like relaxing and enjoying life besides Rabac and Labin just 45-minute drive away is Pula on one side and Opatija on the other, both offering plenty culinary, cultural and touristic attractions. 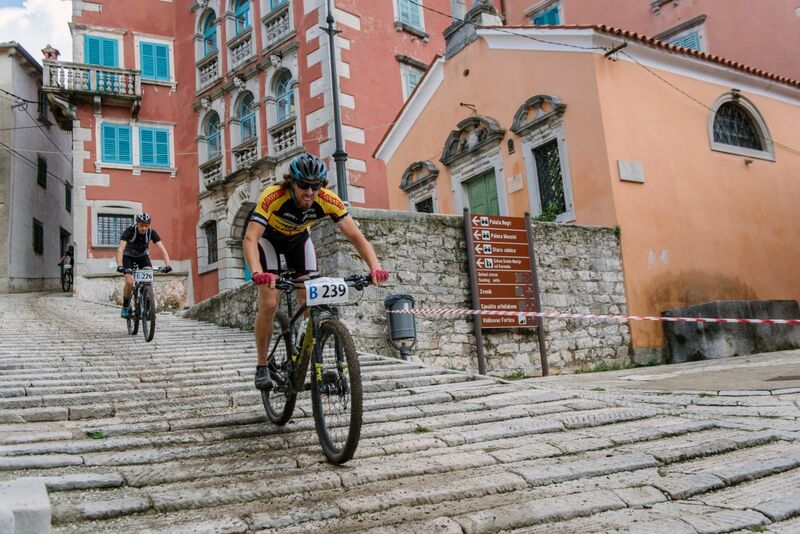 Whether you are looking to score some UCI points or are looking for an active weekend getaway Valamar Terra Magica in Labin and Rabac has something for you.